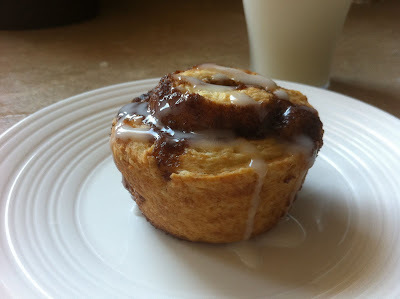 While the Pioneer Woman's cinnamon rolls will always be a huge favourite of mine (and everyone else's from what I can tell! 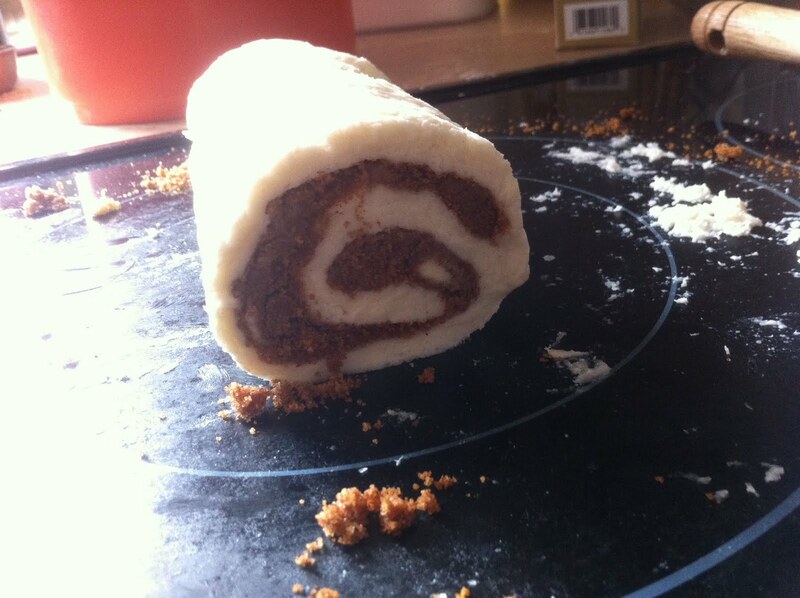 ), sometimes you don't have the time to prepare the yeast-dough that they are made of. 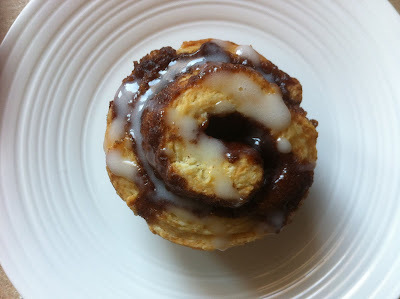 Especially if you need a quick and delicious cinnamon bun to quell a sudden craving, or to feed a house-hold of hungry guests! I first had these while visiting friends. After tasting one I couldn't write down the recipe fast enough! I cannot remember where the recipe originates, but oh man, is it ever good! I took a good look online and found several sources with the same recipe, the one that I found the most often is from Company's Coming. The dough comes together quickly, and I love how they are baked up in a muffin pan so that they can easily be grabbed and devoured. These are amazing with a classic glaze, but are also sweet enough on their own if you don't want to deal with the glaze. This recipe makes 12 cinnamon rolls and it can easily be doubled (or tripled!) for a hungry crowd. In a large bowl whisk together the flour, baking powder, sugar, and salt. After you have removed the cinnamon rolls from the oven, whisk together the glaze in a small bowl. Drizzle them with the glaze, and Enjoy! These look SO good! 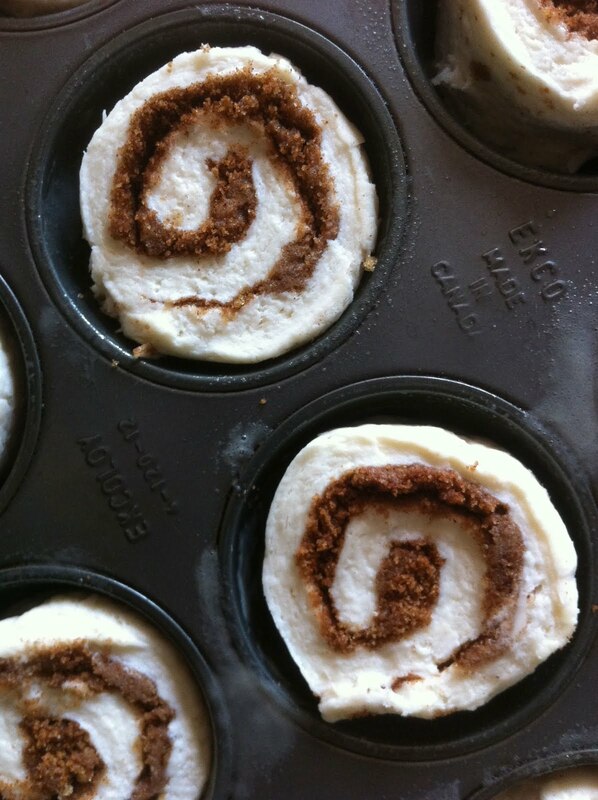 I love cinnamon rolls, especially on a lazy weekend morning...you've just inspired me to make some this weekend! looks like a great recipe! i love baking them in muffin tins-they turn out so cute! I want some of these now Hailey!!! The recipe I have comes from "A Taste of Brunch" by: Jacquie Smith, Eileen Mandryk and Jo Wuth. Very good recipe book! P.s. Yours look so much better than mine! I think im making them again this saturday, i'm craving them again now that they are gone!